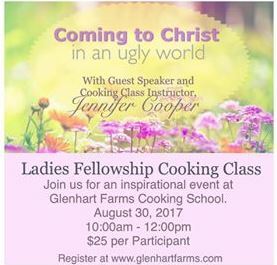 I am hosting a Ladies Fellowship Cooking Class on August 30th from 10-12. This is the start of my story of how I came to Christ. It will be a great event for ladies to come together in support of our Faith and love for Christ in this tough world.